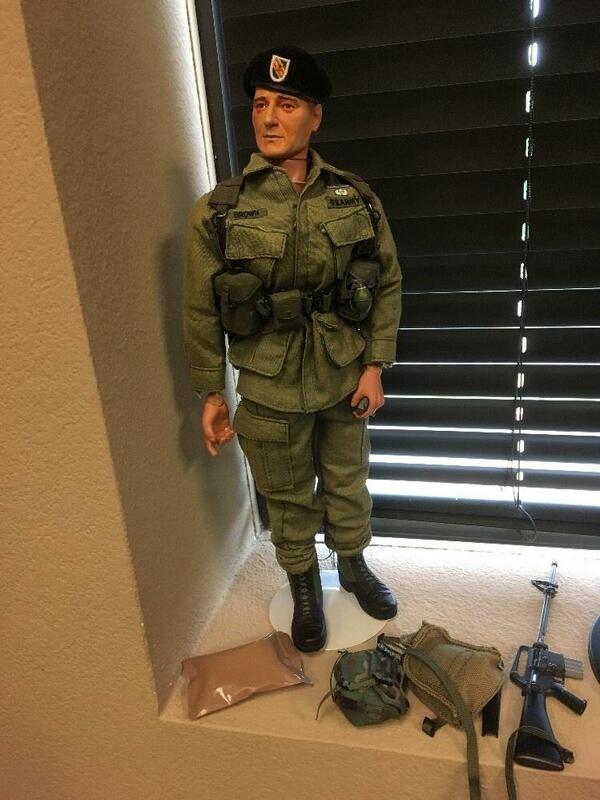 John Wayne dressed as Colonel Mike Kirby from his film the Green Berets. 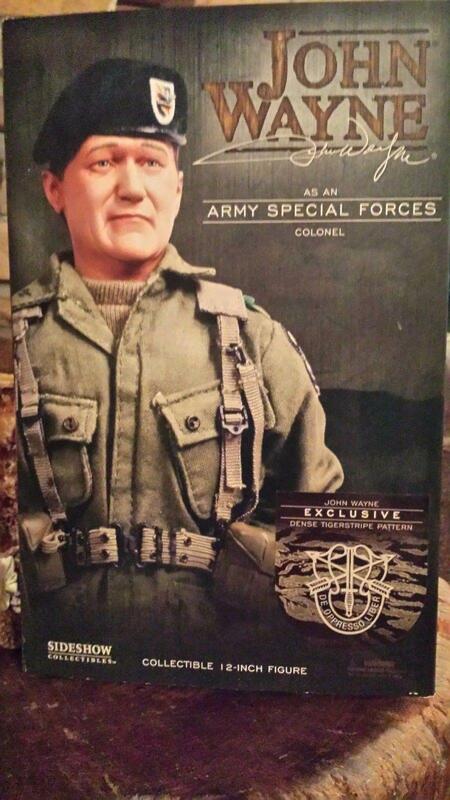 This version is dressed in olive drab. John Wayne!!! It doesn't look so good in photos but in real life this is an excellent head sculpt. The body is also to scale for John Wayne's size. Do not add a handgun and holster - he doesn't use one in the film.